Shops galore – there are no shortage of souvenirs to purchase at Disney World! But, what if you are on a budget? 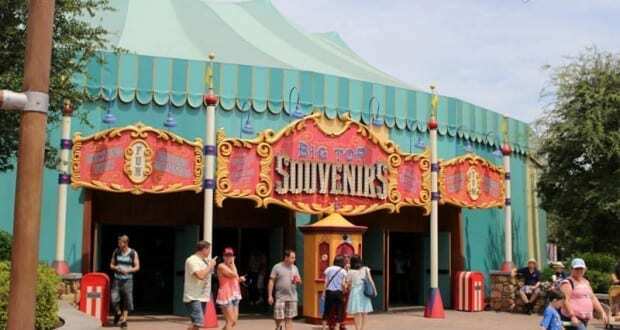 Here are 7 tips for savings money on souvenirs at Disney. You’ve found that souvenir you’ve been dreaming of! Treat yourself, but why not get a discount when purchasing it if possible? 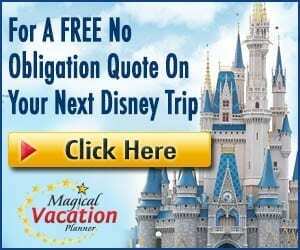 Annual Passholders, Disney Vacation Club Members, and Disney Visa Card Holders, all get a 10% discount on most items with a few exclusions such as some sundry items. When shopping with the Disney Visa, you will also be earning rewards for your account. If you purchase the more expensive items or multiple items, the discounts and rewards really add up! A good ole budget helps tremendously when trying to save on souvenirs! If you give yourself a spending limit (and stick to it! ), you won’t be in shock when you see the final credit card bill come in the mail a month later. Plan for each member in the family and let them know what their budget is. Something we find helpful personally is giving our daughter a heads up about souvenirs. Take out the constant “I want that…” and let your child know they are welcome to select one or two souvenirs for the entire trip. If they want to buy something the first day, then they’ve used up one souvenir and have one to go. This is just an example, but do what works best for your family! Sounds strange, but if you know a specific genre of souvenir you are looking for, let that be your focus instead the mind set “hmm… what to buy? !” For example, if you are shot glass collectors, you’ll know to head in to a gift shop and go right for the shot glasses. Maybe you want a mug, a trading pin, a kitchen accessory – just put something in the back of your mind so you focus on that item and that item only. It’s a little mental trick that seems to help save the wallet. MagicBands are simply fantastic! They make life so much easier and we LOVE them. However, if you are trying to stick to a shopping budget, we suggest you do NOT link your MagicBand to your credit or debit card. Yes, we know – it’s convenient to simply scan your band, enter your pin, and walk out of the store. Unfortunately, when the MagicBand steps in – the wallet steps out. When you have to open a wallet and pull out cards or cash, the movement simply reminds you that you are in fact using money. MagicBands make spending so simple, it’s sometimes forgotten there is money being spent on the other end of that transaction. While you won’t be able to find all of the items you can find at Disney on DisneyStore.com, there are still some great souvenirs. DisneyStore.com also typically has a clearance/sale section of items to browse. Plus, if you join their email list they may offer you promotional codes such as 20% off select items or free shipping. We’ve also noticed personally, when we put everything we’d like in our online shopping cart, we can see the total right in front of us and we tend to spend less that way. A couple of outlets to check out, especially if you have your own car, are Disney’s Character Warehouse at the Orlando Premium Outlets or Disney Character Outlet. Disney’s Character Warehouse is located at Vineland Avenue and is roughly 11 minutes from Disney World. 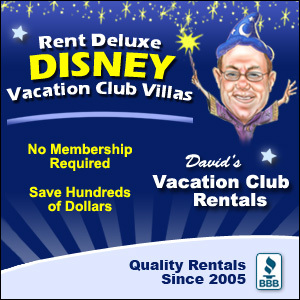 The Disney Character Outlet is located off of South Apopka Vineland Road and is roughly 7 minutes away from Disney. While the Disney Character Warehouse has a larger selection than the Disney Character Outlet, both of them offer great reduced Disney merchandise – sometimes up to 50% off! Sure, you have to make a trip out, but you save in the long run! This is probably the best way to save money on souvenirs so we feel we need to mention it, but it’s not necessarily the most fun option. With Disney’s popularity, Disney merchandise is available at department stores, Target, Walmart, and even malls. You can almost always find something Disney! If you shop before your trip (especially for clothes), you’ll save the budget a great deal. Parent tip – if you have little ones that you want to give a souvenir to while at Disney, you can always buy it before your trip, pack it along with you, and surprise them with it in the park or your resort room. What are some of your money saving tricks when it comes to souvenirs? Let us here from you!